1933 Willys Pickup by R&R Resin Vacuumcraft. 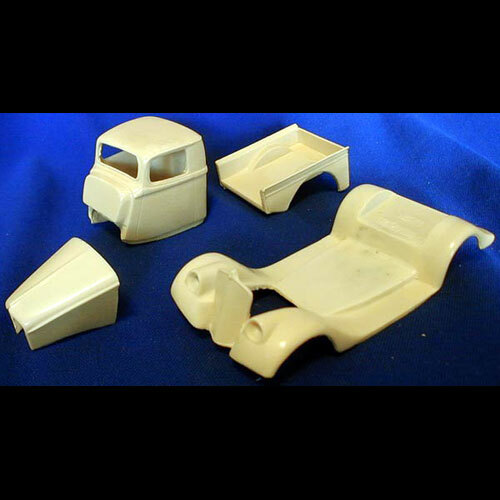 Resin kit includes body, lower body / fender / running boards, pickup truck bed, and hood. This would require a Hot Rodkit for donor parts to finish.